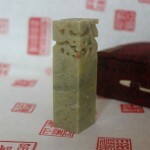 Confucius once said that there were many virtues associated with jade. He felt that jade represented intelligence, purity, justice, music, loyalty, sincerity, heaven, earth, chastity and truth. It is because of these strong Confucian associations that the Chinese have always loved and revered jade above all other stones, and why its importance and prominence as a gemstone and adornment are, today, as strong as ever. Known in Chinese as yu, jade is a type of silicate mineral stone that is special because of its, often, green color and high density, which results in an extremely tough stone that is consistently cool to the touch. Many Chinese wear ornamental jade stones around their necks for relief from extreme heat during the summer months. Jade has been known and used in China since the Neolithic period, when it was primarily carved into talismans and other small objects used for ceremonial purposes. While jade was historically known as the ‘imperial gem’, it was also used in making common, utilitarian items such as pipes, tools and even musical instruments. 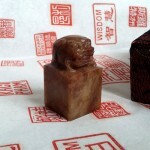 Jade also commonly featured in burial rites or on graves or headstones, especially those of imperial officials or other important and affluent people. With the rise of the silk and spice trades out of China, jade was introduced to European and Western cultures and became a highly prized commodity throughout the world. Several types of jade exist, some more highly esteemed than others. The most common form of the stone is a nephrite jade that appears in a range of greenish colors. White, purple, orange, brown, pink and even black varieties of jade have also been found in other areas of Southeast Asia and South America. Because of the high price that the best jade stones now garner, there has been an increase in fake jades being sold cheaply as jewelry and ornamentation throughout Southeast Asia. The Chinese love affair with jade can be evidenced in the plethora of stories and idioms that involve the gemstone. One such saying purports that “Gold has a value; jade is invaluable.” Others use jade as a metaphor for beauty, purity and nobility. The Hanzi character for ‘jade’ is also popularly used in Chinese personal names. Many of China’s most beloved historical jade objects are now housed in museums around the country, such as the National Museum in Beijing and the Shanghai Museum, both of which boast extensive collections of historical jade pieces. 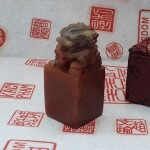 Retail sales of jade are also extremely popular, with many tourist routes including a stop at a jade store, where prices for the best pieces can be exorbitant.